This railway town in the Tagus Valley was born in the industrial age when camps were pitched for workers at a junction in the network (“entroncamento” is junction in Portuguese). It soon became a nexus point for freight and passenger trains heading north and east. The most famous figures of the period would alight for a meal at the station’s restaurant before transferring. Naturally Portugal’s National Railway Museum is in Entroncamento, and it’s a perfect document of the steam age. The wider Tagus Valley is also enthralling for its pretty villages where lusitano horses are bred, as well as a line of medieval castles, two of which are moments from the town. Entroncamento was formed around the railways, and they were its lifeblood for more than a century. At the peak of steam train travel and haulage in the 40s more than half the population of the town was employed in some form by this industry. So there’s no more fitting location for a railway museum. This reopened in 2015 and uncovers 160 years of railway heritage with locomotives, carriages, tools, photographs as well as memorabilia such as posters and tickets. There are several presidential carriages, but the pinnacle has to be the Dom Luiz, the train for the Portuguese monarchy in the 1800s. There’s another monument to Entroncamento’s railways in the shape of a steam locomotive in the middle of a fountain and illuminated at night. 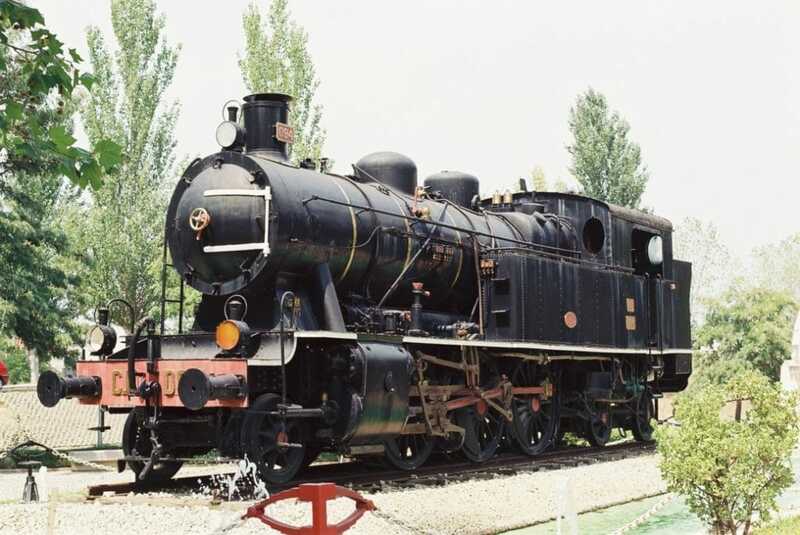 This is from the 070-097 series of trains that was first launched in Portugal in 1916. They’re considered the finest and most balanced steam locomotives ever to run in Portugal. As the number tells you, this locomotive was the 25th of 28 and has quite an intriguing tale to tell: It was made by the Kassel-based Henschel & Sohn company in the 1920s and delivered to Portugal as part of Germany’s First World War reparations. This new city park was only inaugurated in 2013 and is just right for slow, sunny days. There are flower gardens, little tree-covered squares, playgrounds for youngsters and fishing areas on a reservoir fed by the Santa Catarina River. Add to these a restaurant, observatory, mini-golf course and picnic areas and you have a restful and affordable place to hang out with your family for an hour or two. 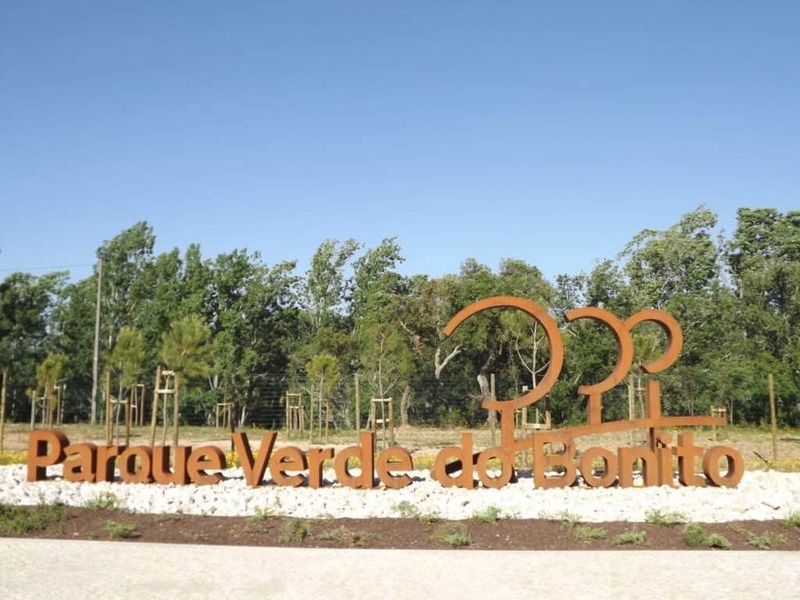 Towards the end of June some of Entroncamento’s São João celebrations also unfold in this picturesque space, with nightly events at the amphitheatre. Even though only the outer walls of this medieval castle survive they make a very romantic scene next to Torres Novas’ town. The park is free to enter and has doves and peacocks amid its lawns, pines and cedars. You can climbs stone stairways up to the nine crenellated towers and survey the scene like a guard 1,000 years ago. These walls are from the Moorish period and the castle was eventually conquered by the Portuguese in the 1130s. The gardens and walls are the stage for a medieval fair every October, with markets and re-enactments. 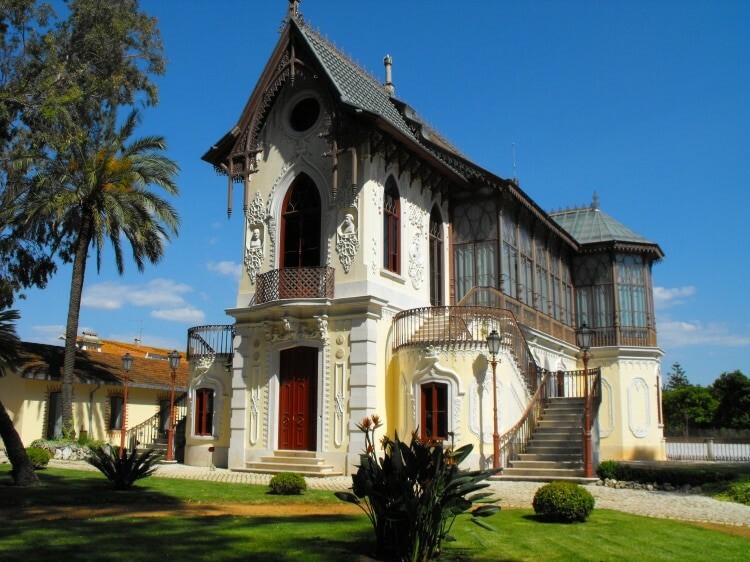 Carlos Relvas was a 19th-century landowner who helped modernise farming in the Ribatejo region. But his fame comes from his side interests, which entailed tough sports such as bullfighting. His biggest passion though was the emerging art of photography, and he was an eminent member of the Société Française de Photographie, winning several awards for his shots. In 1872 he commissioned this amazing house-studio to pursue his hobby. It combines a beautiful home with an iron and glass canopy to flood the interior with light for his studio. Relvas’ pictures are on show, and new images come on display as they’re restored. One of Portugal’s most dramatic images is a few minutes along the Tagus. The Castle of Almourol is on a rocky river island and the scene belongs in a sword and sorcery movie. You can clamber over the rocks to reach it, but the boat is definitely the more ceremonious way to experience this stunning building. This crag would have been easy to defend, and there are signs of human habitation from Celtic times. It was a Roman, Visigothic and Moorish stronghold until captured by the Portuguese in 1129 and then controlled by the Knights Templar. There are interpretation boards all around the castle as navigate its stairways and passages, while the views from the towers are nothing less than heroic. 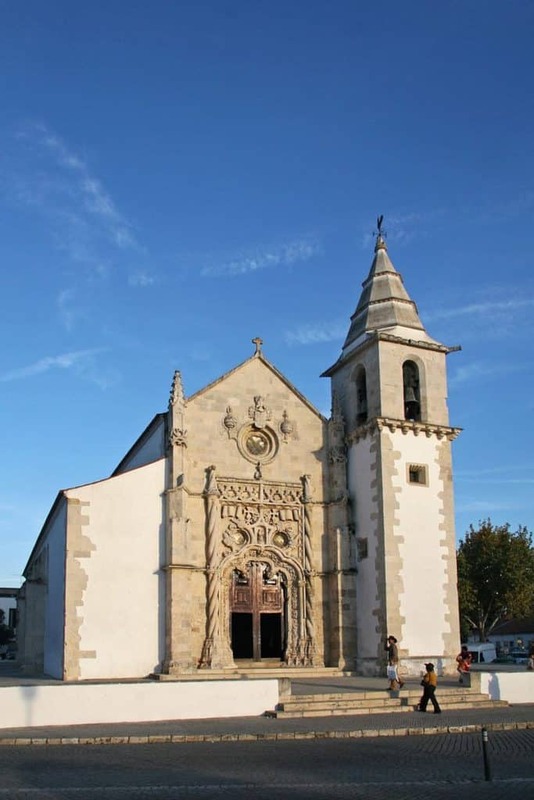 A Portuguese National Monument, this church in the centre of Golegã is a shining example of the Manueline style that was in vogue in Portugal in the 1500s. This was a fusion of Late Gothic and Spanish Plateresque, and is a bold reflection of a nation that was discovering new worlds at the time. The man that the style is named after, King Manuel I, would have visited this church many times, and you can see his coat of arms and personal symbol, the armillary sphere, in several carvings around the church. The main portal is loaded with ornate masonry and flanked by twisting columns, and there’s marvellous vaulting in the nave. While strolling around Golegã a genteel painted building with ogival arches will catch your eye; this is the Palacete Marques de Almeida, which since 2006 has held the town’s library. 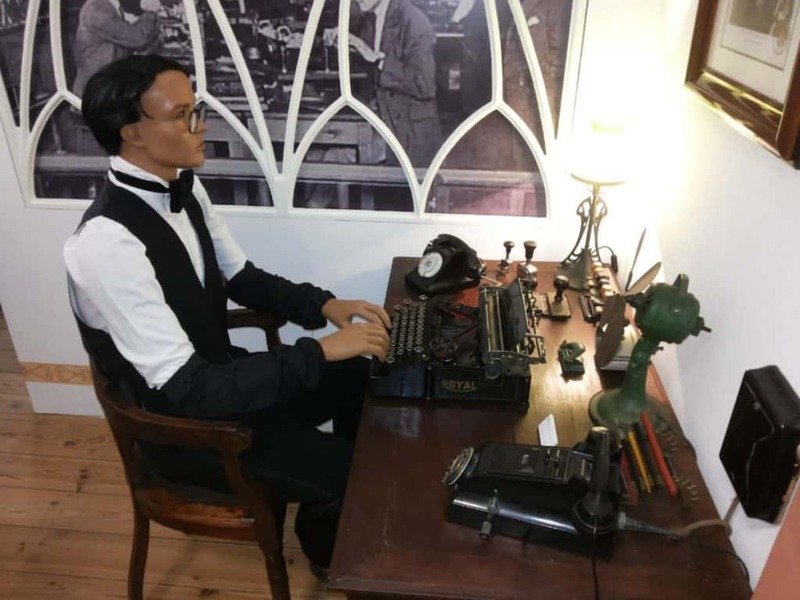 There’s a little attraction to visit inside, a museum dedicated entirely to typewriters gathered by the local collector Artur Azinhais . This opened in 2013 and has 350 pieces, dating from the end of the 1800s to the 1960s and 70s. For older visitors it will be a trip down memory lane seeing brands like Olympia, Bennett, Remington, Royal and Corona. There’s a rich tradition of luistano horse-breeding and equestrianism around Entroncamento. And for ten days every November this manifests in a famous horse fair held moments away in Golegã. A discreet little town becomes the centre of attention, hosting a packed schedule of riding displays and competitions for model and gait. There’s an elegance about the place too with crowds dressed in traditional Portuguese riding uniform. Shops and stalls tout riding gear and in the chilly evenings things get warm and sociable at Golegã’s bars and restaurants. 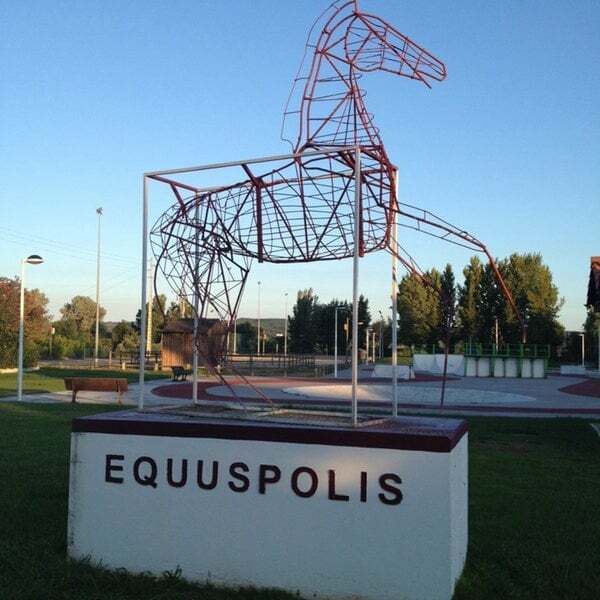 Golegã is known as the Capital do Cavalo (Capital of the Horse) and the city used its equestrian pedigree as the inspiration for its culture and arts centre. The complex has a silhouette designed to look like two horses and boasts a museum, gallery for short-term exhibitions, auditorium and green area on the riverside. The museum is the reason to come, and it’s dedicated to the 20th-century sculptor and painter Martins Correia who has public works in Lisbon and pieces displayed at Portugal’s top modern art museums like the Soares dos Reis in Porto. For inquisitive minds there’s a superb observatory and science museum on a hilltop outside Constância. Something unusual about the centre is that a lot of its exhibits are outside. 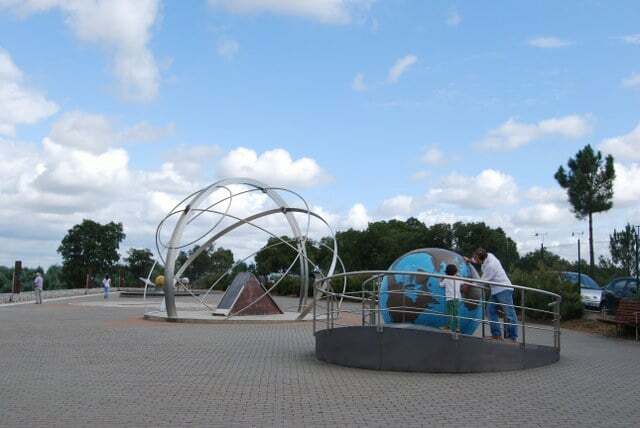 There’s a moving model of the solar system and a celestial sphere, among a few other interactive modules surrounded by pine forest. You can come for shows at the planetarium (which is sunk into the ground) and there are regular stargazing evenings in which images from the observatory’s telescope are fed live to the screen in the auditorium. 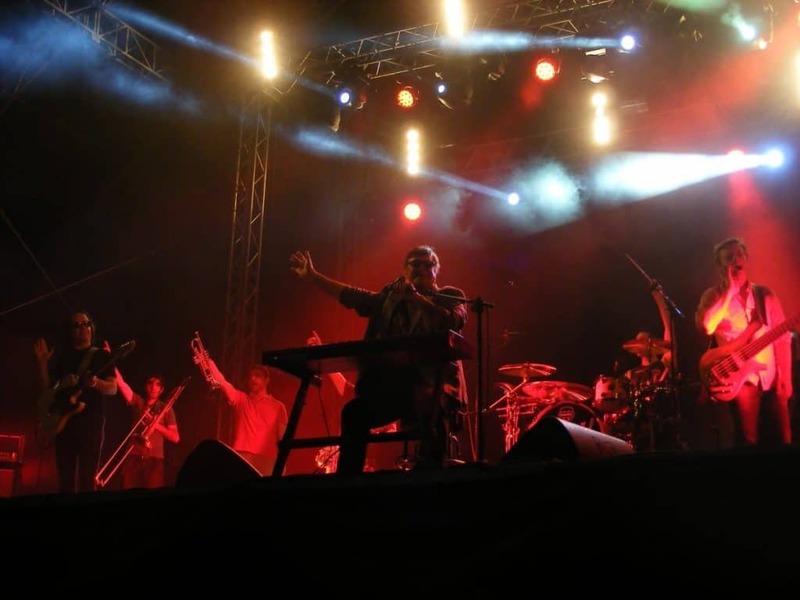 If you do time you visit to Entroncamento for the second half of June there will be a jubilant atmosphere around the town as it puts on its annual festival. They usually begin a few days before St John’s Day on the 24th and end a few days after, during which time a small city of tents and stalls are pitched in front of the town hall. Many of these are for food and drink, but some will sell local handicrafts and there’s also a play tent for children. It will feel like the entire town is involved in the celebrations, and there are evening concerts, traditional processions and folk dances. One of the tallest structures in the country is under 20 minutes away, just off the road to Tomar. 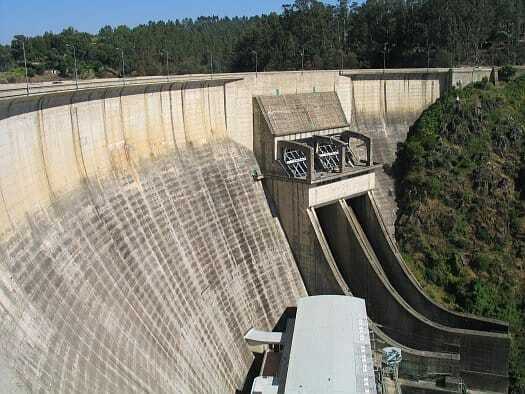 This immense arch-gravity dam went up in the late 1940s and has a hydroelectric power station. Once you leave the A13, the drive there through upland rural scenery is lovely. If you’re wowed by megastructures the dam is truly something to behold, and the same goes for the view down the River Zézéro from the walkway 115 metres up. But there’s a secondary reason to stop by, as the 33-square-kilometre artificial lake is a leisure spot in the summer. You’ll find a small but enticing beach with its own swimming area, bar, campground and picnic areas. It wouldn’t be right to list the equine events and attractions around Entroncamento without letting you know that you can join in too. 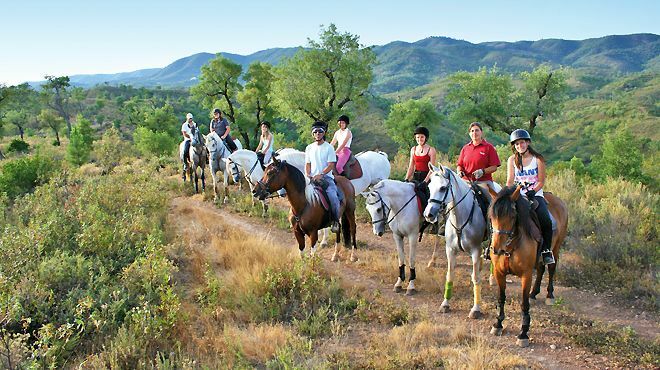 There are several stables nearby catering to newcomers and more experienced riders, but a highly-rated choice is Ride and Escape, barely 15 minutes away in Constância. 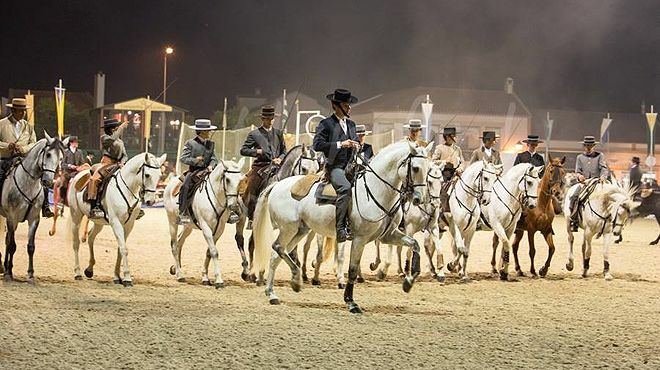 This centre has an arena where you can pick up equestrianism tips but will also lead you on hacks into steep valleys of eucalyptus forest and vines where the lusitano horses can show off their dexterity and responsiveness. Ribatejo’s gastronomy is vibrant enough that every little town has its own signature dishes. In Entroncamento that Portuguese staple, cod is on the menu and normally baked and served with “crushed” potatoes that are prepared with garlic and olive oil. For a snack empanadas de carne are pastry pockets filled with minced beef. Another local preparation is duck baked in the oven with rice and chouriço sausage. 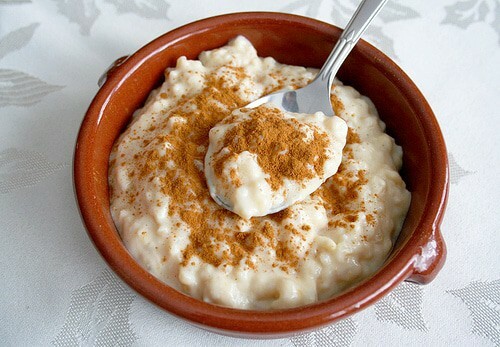 Rice pudding is a common dessert, as are tigeladas, a sort of sweet pie composed of eggs and flour and spiced with cinnamon.